Jasper Land Surveying – Page 4 – …a marketing website for The Land Consultants. 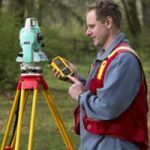 Men and women who combine their sense of adventure, their love of technology, and also their talents in making things happen with their desire to leave a lasting impression are the people who joined the ever expanding realm of land surveying. 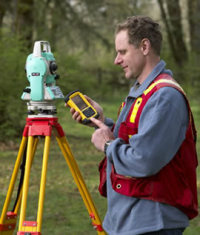 Land surveying is likely one of the world’s most vital occupations. It’s the only job qualified to form new property boundaries. Moreover, land surveyors also play a significant part in the construction of incredible architectural accomplishments – from the historical achievements that are ages old to the impressive buildings today. As a matter of fact, three of the gents on Mount Rushmore are land surveyors themselves.Geographic Information System or GIS experts and staff rely upon surveyors for mapping details. The task of your land surveyor has shaped the world as we know it; and it all starts off with small survey markers. It might be merely a small orange survey marker, but this mark is one of the millions that the surveyor uses to take detailed measurements that would become maps which will someday become amazing buildings, new roads, master planned communities, or entire cities – and in each step along the way is a surveyor. In the Office, photogrammetric surveyors deal with cutting-edge software and state of the art machine. These are land surveyors who do in depth reference research studying maps and boundaries spanning centuries. Within the area, construction land surveyors are the power behind any growth; these people team up with engineers to ensure that the structures are constructed within its area and coincide with the type of land where it’s built on. Hydrographic land surveyors take their work to the lake or sea, determining depths, borders, and a lot more. Geodesy involves surveying where you can acquire specific dimensions for satellite. Land Surveyors may also find themselves inside the court room. They also perform a vital role in providing expert testimonies with retnrds to boundaries or even in assisting crime scene cases which involves land. With merely a high school diploma, anyone can begin as land surveyors, an on the job training that would last for just six weeks, field training, and union apprenticeship. However, a lot of land surveyors are degree holders. Local community universities may offer programs or a two year comprehensive program in land surveying. Incomes tend to be greater than average career fields that need a 4 year college diploma or if these people acquire a degree or higher, they could begin management or one of the many specializations. 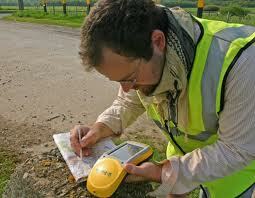 According to research, land surveying has existed ever since the beginning of recorded history. They believe that it has long been used in making the great pyramids; in which historians believe to be very accurate in the calculation of its land area. It was also used in ancient Egypt in re-establishing lost land boundary markers whenever Nile River overflowed its banks. Finally, historians believe that prominent people back then created this practice in order to have refined sharing of the lands they own. Proverbs 22:28 Do not move the ancient boundary, which your fathers have set. Deuteronomy 19:14 “You shall not move your neighbor’s boundary mark, which the ancestors have set, in your inheritance which you will inherit in the land that the Lord your God gives you to possess. Now what does land surveying really mean? Land surveying basically means measuring and mapping lands. It is the science of accurately calculating the land’s area; determining the points of distance between a land and another. The actual purpose of this is to establish land maps and set boundaries for ownership. It is commonly used in the execution of nearly every form of construction. 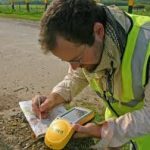 The system of land surveying has proved itself to be a very important factor in the development of human environment as the earth’s surface continues to change according to the lifestyle of people. Just imagine a world where people freely claim an area of land for their benefit without even thinking of the others. Imagine people crossing over another person’s land because there are no borders that would express the ownership of anyone. Imagine people building any construction they want in any land they prefer. Or just simply imagine your neighbors removing your fences. If this happens, it would lead to chaos. That is why land surveying has been made to follow. The importance of land surveying is identical to its purpose. It is responsible in the establishment of the maps of every city, region, country, continent or the earth itself. Through this system, there would be definite borders blocking any people from owning what another person owns. With this procedure, the distribution of the vast space of land would be fair enough. Everything would be ortnnized and regulated. This would mean that the buildings, railroads and even our houses would be made without having any complications if it had undergone land surveying. As you can see in books, matnzines, websites and other things that contain information about our world’s structure, we can see that there are boundaries which separate one place from another. This diminishes the complications in the ownership of lands among people. Since humans tend to get selfish, it is best to have everything in order, up to the issue of allocating land areas for everyone. This is the real essence of land surveying. Call ​Jasper Land Surveying today at (423) 301-8001 or fill out a contact form request for more information concerning your land surveying needs.